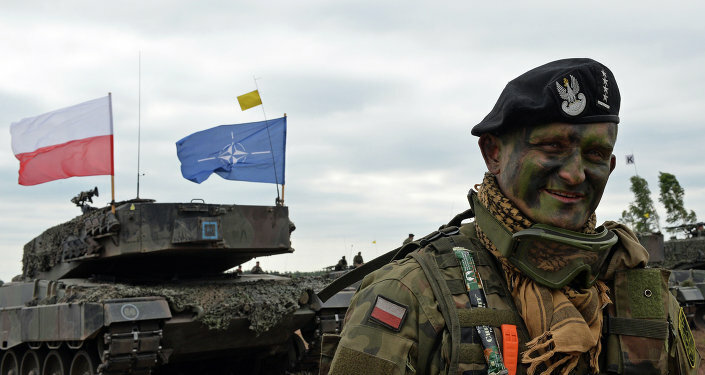 What Pretext Has NATO Found for Its Demands to Limit Russia's Sovereignty? With two months left before the 'West 2017' (Zapad 2017) Russia-Belarus joint military drills, NATO hysteria is ramping up, calling up for the exercises to feature 'more transparency'. Political analyst Yevgeny Krutikov explains what is meant by this strange demand and what Russia and Belarus should give up in order to satisfy it. 'West 2017' ('Zapad'-2017 in Russian) are a joint Russia-Belarus strategic military drills which are being held every two years by the Union State of the two counties. This year they will be held from September 14 to 20. About 13,000 servicemen will take part in the exercises. The first stage of the drills will be held on the Russian territory, the final – on the territory of Belarus. Up to 3,000 Russian servicemen and 280 units of equipment will be redeployed to Belarus for this purpose. There has already been much fuss around the upcoming drills, with the loudest outcry coming from Poland and the Baltic States, which almost every day keep sending their politicians and diplomats to Minsk for pressuring Belorussian authorities with the inexplicable purposes, Russian political analyst Yevgeny Krutikov writes in his analytical article for online newspaper Vzglyad. Inexplicable, he explains, because there is no way of cancelling these drills, which are being held in accordance with the joint decision of the two Presidents, which was made back in 2009. And why would they be cancelled, after all, the political analyst questions. The Lithuanian intelligence, very active in mass media, has even warned of some "provocations on the Lithuanian-Belorussian border" during the drills. 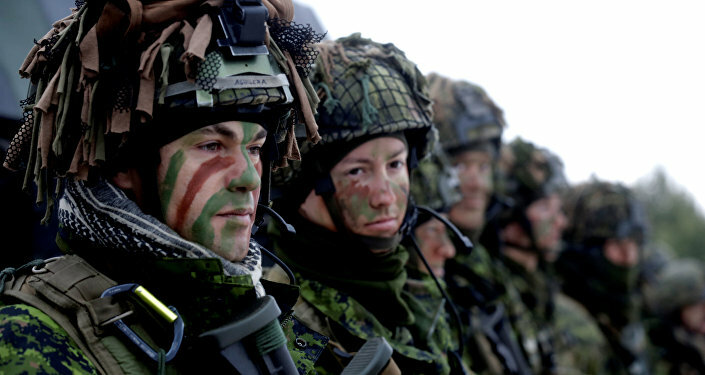 Latvia has held its counter-exercises and is getting ready for more (with 500 servicemen in each), he says. NATO is urging Moscow and Minsk to increase transparency of the exercises, however the alliance can't explain what is being meant by this term. Surely Kiev had its say: Ukrainian ambassador to Belarus Igor Kizim demanded that Belarus needs to declare the intention of the exercises, "in full compliance with the norms of international law and Belarus' obligations within the OSCE." Earlier in June, the Ministry of Foreign Affairs of Belarus summoned the Ambassador in connection with his statements. "The Ambassador of Ukraine was told that his statements do not meet the high level of friendly relations between the Republic of Belarus and Ukraine; they are incorrect, and contain unreasonable accusations toward the Republic of Belarus in noncompliance with confidence and security measures in the OSCE region," said the message on the website of the ministry. "Let's get back to "transparency": what is Russia being demanded to reveal? The location of its major defense systems? The line of its main attack? Codes, passwords and air frequencies? It is no fun," Yevgeny Krutikov says. Usually the description of military exercises is largely abstract, the political analyst says. With regards to these particular drills, they are aimed at increasing the security of the Union State, its readiness to rebuff any possible aggression and the co-ordination of the governing military bodies, field and air military units. With regards to the scenario of the exercises, it will be the "rebuffing of an attack of a potential enemy or terrorists", which has nothing to do with the declaration of war to Lithuania or Poland, Krutikov says. Nobody will be trained to seize the so-called "Suwalki Corridor" or "Suwalki Gap", which NATO and the Pentagon consider "the most vulnerable spot" of the Alliance and which they think Russia will seize first in its war with the block. The Suwalki Gap, or SK Gap in American military parlance, named after nearby Polish town of Suwałki, is a 64 mile (102 km) land corridor between Poland and Lithuania, which is also wedged between Russian ally Belarus and the Russian exclave of Kaliningrad. This particular fact has turned this stretch of land into a core concern of all the NATO member states. 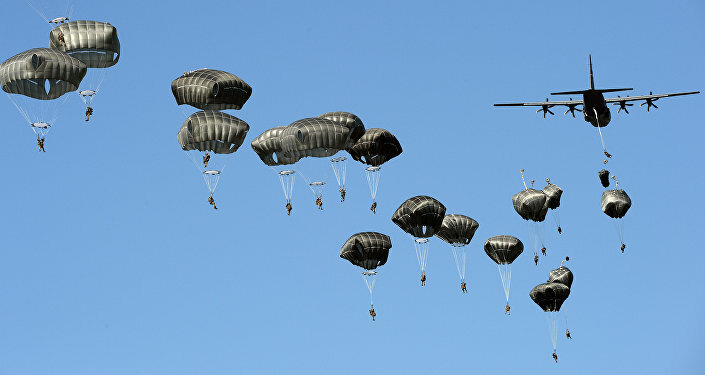 The list of ranges, which will be the sites of the exercises, the analyst says, is well-known and has been submitted to embassies and observers from the organizations, which have expressed interest in the drills, including NATO, which has kept asking for an invitation as if it was never invited. Krutikov further refers to the recent remarks of Lamberto Zannier, the Secretary general of the Organization for security and cooperation in Europe (OSCE), who called to draw up a concept of "asymmetric stability" to reduce the tension caused by the growing polarization, the fall in the level of confidence and the deterioration of military predictability in the continent. "We must interact as never to restore strategic stability. The challenge we face is to achieve that the asymmetry in numbers, military activity, the deployment of troops and material does not become in itself a destabilizing factor", Zannier said. He durther proposed creating a reciprocal system of observation of certain military activities, particularly around the region of Kaliningrad, the Russian enclave on the Baltic Sea between Lithuania and Poland. The exchange of information about military movements, which would extend to naval and air targets in some regions such as the Baltic Sea or the Black Sea, could contribute to transparency and reduce the risk of incidents, according to Zannier. The OSCE Secretary General also mentioned the creation of a mechanism for immediate consultations to take joint measures on de-escalation in case of an incident and the potential risk of a military confrontation. Krutikov however noted that the above measures resemble an ultimatum, which means a voluntarily restriction of Russia's sovereignty even on its own territory. He noted that such mechanisms existed until NATO unilaterally ceased all cooperation with Russia in the military sphere. NATO Secretary General Jens Stoltenberg has recently softened his position, right ahead of the drills, and urged for a cooperation within Russia-NATO Council, which he personally buried a couple of years ago. Russia is making concessions, the analyst says. But before the revival of the so-called "hot lines", which will really increase the transparency, there should be restoration of diplomatic cooperation. 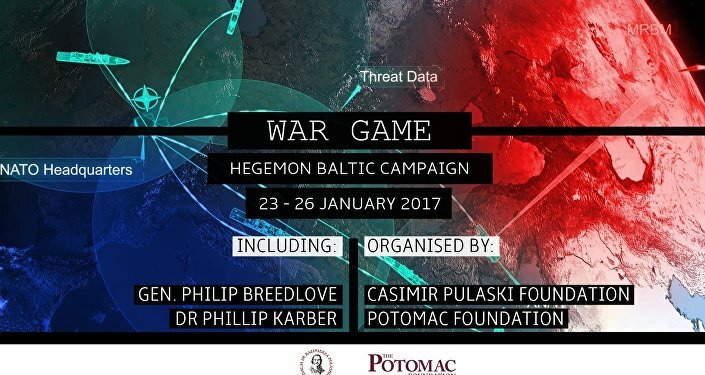 "The Baltic paranoia and Polish ambitions are a bad motive to invent certain schemes for restriction of Russia's sovereignty. It means that something psychologically and ideologically unstable is able to impose its paranoid point of view on the largest military structure in the world. This is a very strange situation for Europe, even in theory, which will only aggravate the situation in the region. This is very short-sighted," the political analyst concluded.